education courses for licensed professionals nationwide. All of our architect continuing education courses are fully approved by the American Institute of Architects and are accepted in all 50 states to fulfill the continuing education requirements. As an AIA approved provider, upon completion of any of our architect continuing education classes we will report your hours directly to the American Institute of Architects. We consistently receive high marks from architects who complete our continuing education courses because they are user-friendly and can be completed online or correspondence style. Click here for our full course listing. Our continuing education courses for Professional engineers are accepted in nearly every state for license renewal, including states with more rigorous requirements such as New York, Maryland, and Florida. Our Professional Engineer continuing education courses can all be completed online or correspondence style. You can click here to view your state requirements. Several states require continuing education for contractors, builders, and construction supervisors to renew their license. Our online and correspondence courses are approved license renewal in nearly all of those states, including Florida, Minnesota, Massachusetts, and Oregon. In order to stay ahead of the curve when it comes to new construction and building trends we invite you view our contractor blog. Cosmetologists, Barbers, Nail Technicians, Manicurists, Estheticians – Continuing education requirements differ from state to state, but our online and correspondence courses are approved and accepted in nearly every that requires continuing education, including Georgia, Illinois, Ohio, West Virginia, North Carolina and Texas. Most experienced cosmetologists and beauty professionals recognize that continuing education is not only important for license renewal but also to stay aware of changing rules, regulations, and safety issues. Many barbers, cosmetologists, nail technicians, estheticians, and manicurists turn to our beauty blog to stay up to date the latest trends. We recognize that funeral directors and embalmers do one of the most important jobs in our society. That’s why we strive to provide online and correspondence continuing education training courses that are up to date, informative, and user-friendly. Our funeral director and embalmer continuing education training courses are approved in nearly every state requires continuing education in order to renew a license including Texas, Illinois, Indiana, Arkansas, Tennessee, Georgia, and South Carolina. Our continuing education courses for land surveyors are accepted in almost every state that requires continuing education in order to renew a license. The courses we provide can be completed either online or correspondence style and cover a multitude of topics that are relevant to today’s licensed land surveyor. To view our full listing of land surveyor continuing education courses click here. As an ASHA (American Speech-Language-Hearing Association) approved training provider we are able to offer online continuing education courses to speech pathologists in most states. That continuing education can be completed either online or correspondence style and used to renew your license and your ASHA membership. PDH Academy is a leader in the field of continuing professional education (CPE) for CPAs and other financial professionals. We provide self-study courses, and CPE packages for accounting, tax, and financial professionals all across the country. PDH Academy is registered with the National Association of State Boards of Accountancy (NASBA) as a sponsor of CPE on the National Registry of CPE Sponsors and as a QAS Self-Study provider. Our courses are approved by NASW (National Association of Social Workers) and most states for continuing education for social workers. We offer online and home study courses. Click here to view our approved social worker courses. We offer many AOTA (American Occupational Therapy Association) approved continuing education courses. Therefore our courses are approved in most states for Occupational Therapy and Occupational Therapy Assistants continuing education to renew your license. The courses can be done online or correspondence to renew your license and/or your AOTA membership. 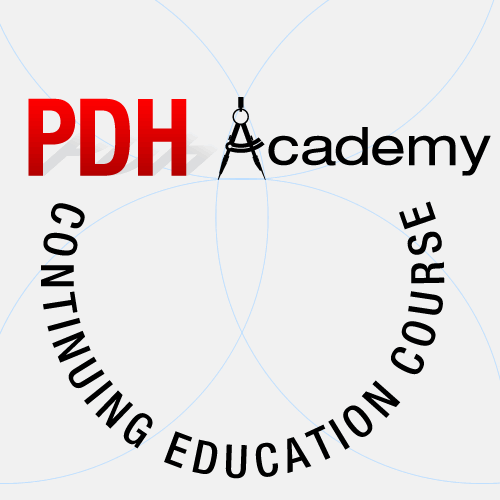 PDH Academy is an approved provider in many states for Physical Therapy continuing education. All of our courses are either online or home study. To view our full listing of Physical Therapy courses click here.